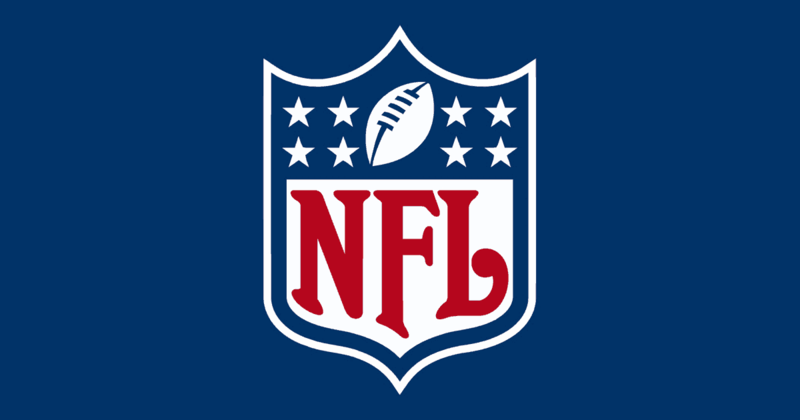 Week 1 of the NFL season is set to kick off this weekend with a full slate of games on tap. Let’s take a look at the five best games to bet on this weekend, with a pick for how each game will play out. Thursday Night Football will feature a rematch of last year’s NFC Divisional Round playoff game. The defending Super Bowl Champion Philadelphia Eagles will start their title defense against a very good Atlanta Falcons team in this game. The Eagles will start Nick Foles at quarterback on Thursday night as Carson Wentz has still not been cleared for contact. Foles led the team in the playoffs last season, but struggled mightily in the preseason. The Falcons have a dynamic offense and should put up points in this one. The Eagles get a small advantage of playing at home, but it won’t help them in this one. The Falcons go into Lincoln Financial Field and defeat the Eagles. AFC North Division rivals square off in Cleveland on Sunday as the Browns host the Pittsburgh Steelers. 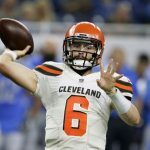 Cleveland selected quarterback Baker Mayfield with the top overall pick in last year’s draft, but they are choosing to start Tyrod Taylor in this game. Taylor should get the advantage of having Josh Gordon on the field to throw the ball to. The Pittsburgh Steelers are still waiting on Le’Veon Bell to show up to practice. The All-Pro running back is expected to show up sometime this week, but his status for week 1 is uncertain. With or without Bell, the Steelers should be able to handle the Browns pretty handily in this one. Bet the Steelers -3.5 over the Browns on Sunday. Andrew Luck is back as quarterback of the Indianapolis Colts, which is a welcome sight to Colts fans. Luck missed all of last season but looked healthy and ready to go during the preseason. The Colts should be able to put points on the board this season with Luck hooking up with top wide receiver TY Hilton. The Colts will struggle on defense this season, but the Bengals don’t present a huge offensive threat in this game. The Bengals still feature Andy Dalton and quarterback, but his age is starting to show. Cincinnati will lean heavily on running backs Joe Mixon and Giovani Bernard, but they need to find offense through the air. This could be a sloppy affair, but the Colts will get a seven-point win in Luck’s return to the Colts. The Minnesota Vikings burst onto the scene last year, and they should be even better this season. Minnesota brought in veteran quarterback Kirk Cousins to lead their extremely talented offense. The Vikings feature a pair of talented and explosive running backs in Dalvin Cook and Latavius Murray. Minnesota’s defense might be the best in the NFL this season as well, making the Vikings a tough team to beat. The San Francisco 49ers will have that task on Sunday afternoon. There is a ton of hype surrounding the 49ers and quarterback Jimmy Garoppolo. San Francisco suffered a huge blow late last week as running back Jerick McKinnon suffered a torn ACL that will cause him to miss the season. Garoppolo will now have even more pressure on him to lead the 49ers offense, and against the Vikings that will be too tall of a task. The 49ers should be improved this season, but the Vikings are elite. They beat the 49ers by more than a touchdown on Sunday. This game is a rematch of a week two preseason game that was won by the Rams by a score of 19-15. Neither team was willing to show much in that matchup, but the Rams will unleash their explosive offense on Monday night. The Raiders just traded their best defensive player to the Chicago Bears, and the team will greatly miss his presence on the field. 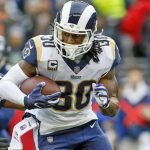 The Rams should put up a ton of points this season with quarterback Jared Goff and running back Todd Gurley leading the way. Los Angeles also brought in Aqib Talib and Marcus Peters as defensive backs to give them one of the top defenses in the NFL. The Raiders hope that the return of head coach Jon Gruden will give them an edge offensively, but they have their work cut out for them in this game. This game might be tight for a while, but the Rams will break it open in the end. Bet the Rams -4.0 in the battle of California teams.